Who in India is benefiting from the plunge in global crude oil prices? The marketing margin of Indian OMCs is at an all-time high, especially since retail fuel prices have not fallen despite the drop in crude oil prices. Earlier this year, market participants around the world were dreading the thought that Brent crude would touch the $100 per barrel-mark. Tracking high demand amid concerns of low supply, prices of crude oil had begun on a sharp upward trend. An impending global trade war as the United States of America (USA) and China cranked up the heat and slapped tariffs and counter-tariffs against each other led to fears of a global economic slowdown. Further, a drop in supply from Venezuela and Libya as the two countries grappled with political uncertainty and US President Donald Trump’s economy-crushing oil sanctions on Iran intensified fears of low supply and pushed up prices to as high as $87 per barrel. 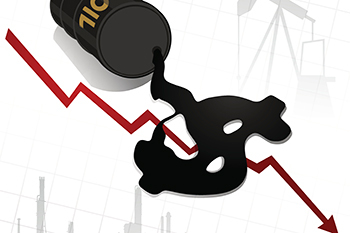 Why then are international crude oil prices declining now? After touching a high of ~$87 in early October, Brent crude has fallen by nearly $20 in about two months. This was on the back of various countermeasures and the increase in crude oil production to rein in prices. Moreover, the US shale output hit a peak of over 11.5mn barrel per day (bpd) with expectations that it will scale 12mn bpd this year. This supply glut also helped ease crude oil price. Furthermore, ranting against its policy of cutting production, Trump had been pushing the Organization of Petroleum Exporting Countries (OPEC) to increase crude oil production. Courtesy of this, not only OPEC, but even Russia increased its production, effectively bringing oil prices down. Moreover, the Iranian sanctions, which were supposed to slash the Middle-Eastern country’s contribution to global markets by 2.5mn ton, were diluted for eight countries, including India and China, as a result of which there was little impact on the overall oil supply, which further eased prices. So who will benefit from this decline and what does it mean for India? Since India is a major oil consumer that fulfills almost 80% of its oil needs through imports, it is bound to benefit from the drop in international crude oil prices. India’s inflation, especially the consumer price index-based (CPI) inflation, would reduce sharply. Moreover, lower oil prices mean reduced prices of food items. Further, this could impact the rupee in a positive manner. The Indian currency has been bleeding against the US dollar, partly due to the high oil import bill. Additionally, this decline should also ideally reduce fuel prices in India, which have lately been flirting in the ~Rs80-90 per liter range across major cities. However, at present, it seems that it is the state-run oil retailers and not the consumers who will benefit from this plunge in crude oil prices. The marketing margin of OMCs is at an all-time high, especially since retail fuel prices have not fallen despite the drop in crude oil prices. This could be because retail prices are not directly linked to global crude. Indian refiners take the 15-day average crude price into consideration and factor in currency movements and freight costs while calculating fuel prices. This allows them to calculate the amount they spend to convert every barrel of crude into fuel. As per Bloomberg data, though the conversion cost has fallen almost 18% for diesel and 27% for petrol, retail prices have only declined 8% and 10%, respectively. Hence, fuel will continue to singe a hole in the common man’s pockets until the government decides to pass on the benefits of the drop in international crude oil prices to its citizens. Consequently, Indian OMCs have been the biggest winners of this drop in crude oil prices. In conclusion, with the general elections just around the corner, the PM Narendra Modi-led government seems to have adopted a wait-and-watch approach to control fuel inflation. Will it fill its coffers like the last time or go in for a mass-appeasing step and force OMCs to reduce prices? Your guess is as good as ours.